Konichi wa! Minna, fullsize, onegai. Yeap, it is Air gear, which I love because I love roller-skating. Vector is made my Yoru, tnx for such great vector <3, (crediting in signature). I wanted to make smth with Agito/Akito long time ago. Brushwork, some texture (if you saw, everytime I use the same texture, or combinate it with some other or with another options). Awesome wallpaper, I love it's style. The colors and everything look great too, Very nice~! did i remember it wrongly? The color tone, texture, brushes and others...everything are GREAT! nicely done with awsome colors! wow, that is an awesome work! love it! Agito! ^___^ Awesome wall! 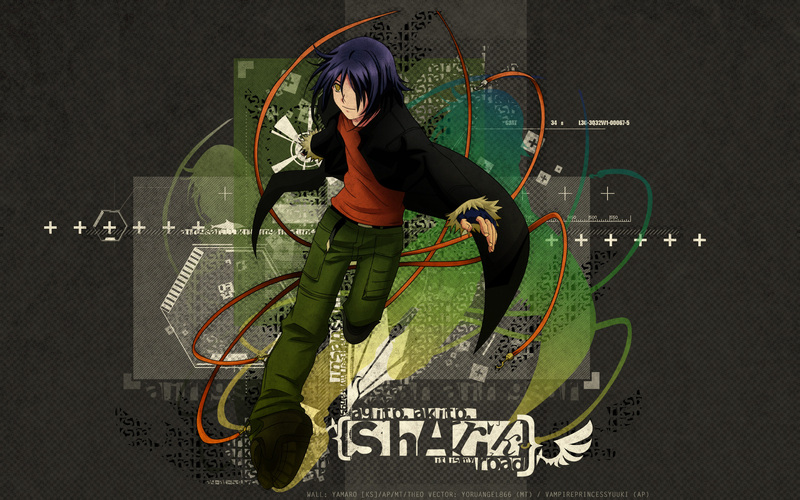 I like its background, coloring and Agito ^^ well done!